Trailokyanath Padhi, A Successful business leader, who loves solving problems and driving value for the customers through developing innovative digital products that lead to business transformation. Over 15 years of experience in delivering solutions in Automotive, Manufacturing and Retail industries to optimize and integrate systems, processes, and people. With expert knowledge of purchasing and Logistics process, he drives organization to realize their true efficiency. Currently he is working at General Motors as as a Business lead, transforming business operation through digitalization and operational excellence strategy. Prior to that he worked at multiple fortune 500 companies as a technology consultant, project manager and solutions sales manager. Trailokyanath has extensive experience advising start up companies on growth strategy, funding strategy, and prepairing business cases. 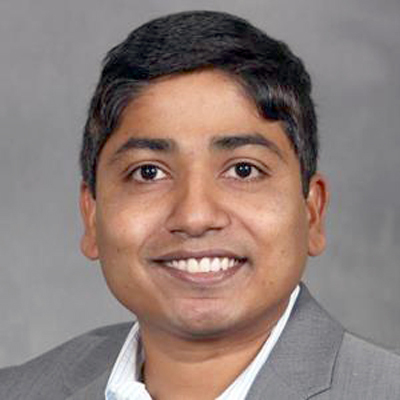 He holds an MBA from ROSS Schools of business, University of Michigan, Ann Arbor and a bachelor of engineering degree in Electronics and Communication from Mysore University, India.